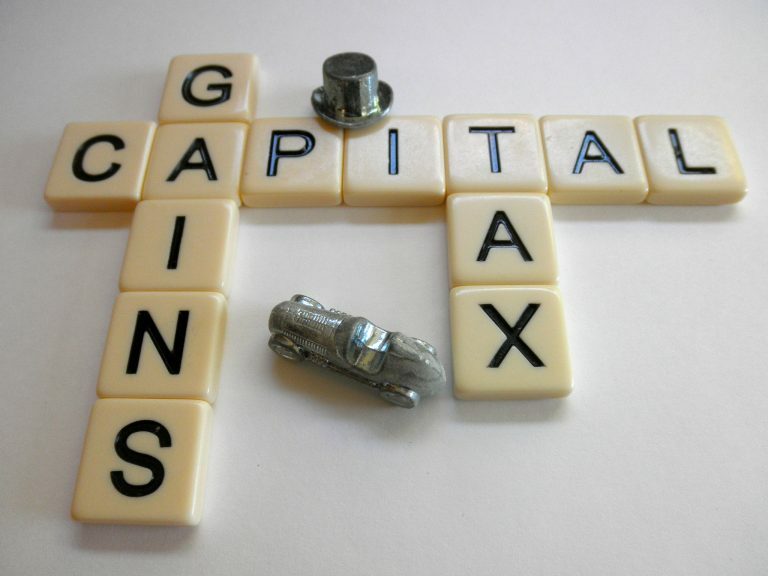 Capital Gains Tax – How it works! Capital Gains Tax is a tax when you sell an asset such as a business, a second property or shares. The amount of tax that you pay depends on your income and the amount of gain. The tax is on the ‘profit’ when you sell or dispose of an asset that has increased in value. Getting compensation for it i.e. like an insurance pay out when it has been lost or destroyed. Shares that are not ISAs or PEPs. You do not pay CGT when you sell your main home or if you have an ISA/PEP, Premium Bonds or on betting or lottery winnings. You also do not pay CGT when you inherit an asset because that asset is already subject to Inheritance Tax and you do not get taxed on the same asset. You will only pay CGT if you then dispose of that asset at a later date after you have inherited it and it has increased in value. Final value – this is the sale value when an asset is sold or the market value if it is transferred or given away. Deduct the initial value – this is the price that you paid when you purchased or inherited the asset or the market value when you were given the item i.e. if you were to inherit a house for CGT purposes it is the value of the house when you inherited it. Deduct any allowable expenses – this includes the cost of buying or selling the asset (Solicitors fees, Estate Agents fees, tax etc.) or the costs of improving an asset i.e. if you undertook improvement works to a house which caused the value to increase. The costs of those improvement works could be deducted. Gain/Loss – If the property has gained in value then you can set off an annual allowance but then any amounts above this are then taxed at a rate of 10% for basic rate tax payers and 18% of higher rate tax payers. There is one exception to this which is property – property sales are charged at a higher rate, 18% for basic tax payers and 28% for higher tax payers. Every person has an annual tax free allowance of £11,300 for CGT. This means that you can have a gain of up to £11,300 before you start paying tax. To give you an example as to how CGT works let’s say that you purchased a house in 2008 for £200,000 and then sold it in 2018 for £260,000 and let’s assume that you are a higher rate tax payer. £20,000 spent in improving the property which is deducted against the gain. Less annual allowance of £11,300. Tax payable £28,700 x 28%. Equals Capital Gains Tax payable of £8,036. If you make a loss on an asset i.e. if you sell an asset for less than you purchased, and then report it to HMRC you can deduct this amount from gains that you make in the same tax year. Using the example above if let’s say you also had £20,000 of capital losses in that same tax year then the amount that would be subject to CGT would be £8,700 (and not £28,700) which would mean that your CGT liability would be £2,436. There are special rules when you gift assets to your spouse or civil partner or a charity. You do not pay CGT on these assets if you have separated and did not live together at all that tax year or if you gave them goods for their business to sell on. If they later then sell the asset then there is likely to be CGT. You can also not offset losses from assets that you give or sell to your spouse or civil partner. Online via HMRC’s Capital Gains Tax service. You need to make sure that you have your Capital Gains or Loss calculations as well as any information that you have about costs that lead to that gain/loss and what you received. HMRC will then contact you to let you know how much you owe. Particularly when an asset has increased in value i.e. if you purchased a property, undertook improvement works and then later sold the asset and it was not your main home it is vitally important that you keep records of all the costs that you incurred in improving the property so that you can present them as evidence to HMRC. If you have lost those records or they have been destroyed then you must try to recreate them for HMRC and when you fill in a Tax Return using recreated records you will need to show whether the figures are estimated (here you indicate to HMRC if you want to accept those estimated figures as being final) or provisional and you state that you will update them later when you have the actual figures. We hope that this basic guide on Capital Gains Tax is helpful but should you require any further information please contact us on 01654 711499/01341 281108 or email abright@alwenajonesbright.co.uk. Please note that we are not a Firm of Accountants and we do not hold ourselves as being experts on Capital Gains Tax. The purpose of this guide is to help you understand the basic position in relation to Capital Gains Tax and how it works for more detailed specific advice we suggest that you consult an Accountant.